Global view of operations at the touch of a button. Site-specific or multisite reports available securely online from anywhere, at anytime. Peace of mind that only qualified and inducted workers allowed on site. Data is held centrally providing easy access and a robust audit trail. Connectivity to HR or IT databases. All operatives on site at the time of generation; details include; Name, Organisation, Zone and Entry time. All visitors on site at the time of generation; details include; Organisation, Number of visitors, Responsible person and Entry time. Accident Report – Lists any accidents reported onsite. 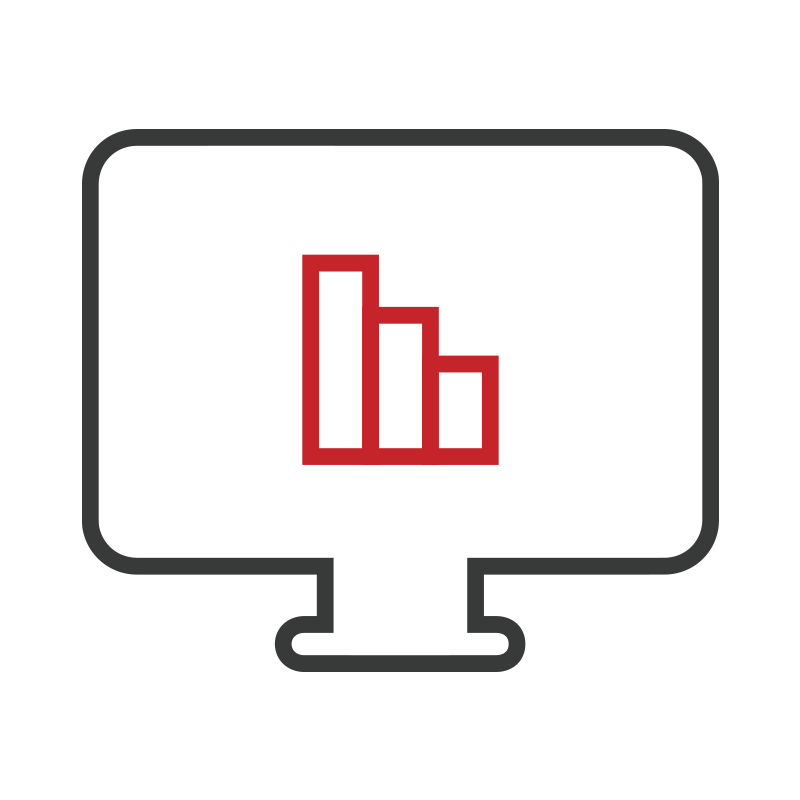 Individual User – To view all data for a particular individual. 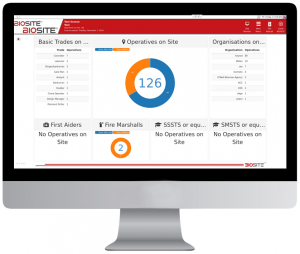 KPI Report – Key performance indicators for operatives on site. Near Misses – Lists any near misses reported on site. Near Miss Summary – Overview of near misses reported on Biosite PC/Tablet. Near Miss User Report – Operatives who have raised near misses. Organisations Report – Shows organisations on site. Biosite Registration – Details how many operatives have registered and which date. Training Log – Summary of operatives training. Workforce report – Customisable user report. User accreditations with export option. Multiple sites can be managed centrally and all worker activity on those sites monitored and recorded. Biosite provides you with the necessary reporting tools to examine trends in data across sites and and can be used to identify potential risks and possible efficiency gains. Reports can be tailored to your individual requirements and filtered by: site, region, sub-contactor, entire organisation etc. Biosite offer a variety of licensing options and can be scaled as your business grows. Biosite is highly scalable with different licensing options being available to you based on the volume of users you have. It will enable your company to closely manage your construction projects by having access to accurate data and a well-managed workforce. Eliminate the ongoing need for access cards. Robust, weather proof design and easy installation reduce installation, maintenance and running costs. Minimal capital expenditure required for installation, resulting in rapid ROI.